Theodore Roosevelt declared that if he had not spent his years in North Dakota, he would never have become President of the United States. His stories and epic tales of life in the Old West while living in the Dakota Badlands of the 1880s are fascinating and written with infectious enthusiasm. The stories and tales are told through works of Frederic Remington as well. These 65 black-and-white images blend in perfectly with each story as recounted by Roosevelt himself and provide a gorgeous bonus, to say the least. 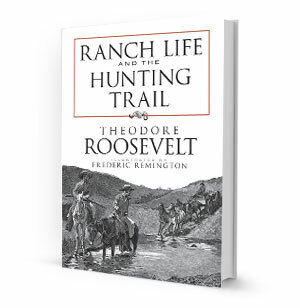 You experience the feelings and emotions of multiple stories, all historic and told in an easily understood, descriptive manner that holds your attention, as only can be told by Teddy Roosevelt.